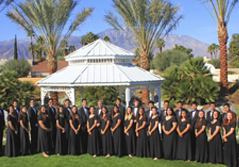 The Cathedral City High School Symphony Band has earned a reputation as one of the finest symphonic ensembles in California. It is comprised of the most advanced musicians in the band program and performs literature of the highest quality, with the ensemble’s approach to music making modeled after the leading collegiate wind bands. The Symphony Band has performed in such unique and prestigious places as The Sydney Opera House (2017), Carnegie Hall (2007), Walt Disney Concert Hall (2012 and 2009), Symphony Center, Chicago (2015), The Kennedy Center (2013), St. John’s Smith Square (London 2010), Cardiff (Wales 2010), Holy Trinity Church (Stratford, England, 2010), Chateau Vaux-le-Vitcomte (Paris 2011), Bonn, Germany (2011), Heidelberg Castle (Heidelberg, Germany, 2011), and Munich (2011). In 2017, the Symphony Band was a featured ensemble at the 60th Annual California State Music Education Conference (CASMEC). In 2015 the Symphony Band won a commission for a new work for wind band, entitled “Lux Contrapunctum”, by composer Brett Abigana. The work was world-premiered on April 5th, 2015 at Symphony Center in Chicago, Il. In 2015, Cathedral City High School was awarded the Support Music Merit Award by the NAMM Foundation for excellence in support of public education. The CCHS Symphony Band has been recognized four times as the California State Level Winner for the Mark of Excellence National Wind Band Honors Project (2008, 2009, 2013, 2016). 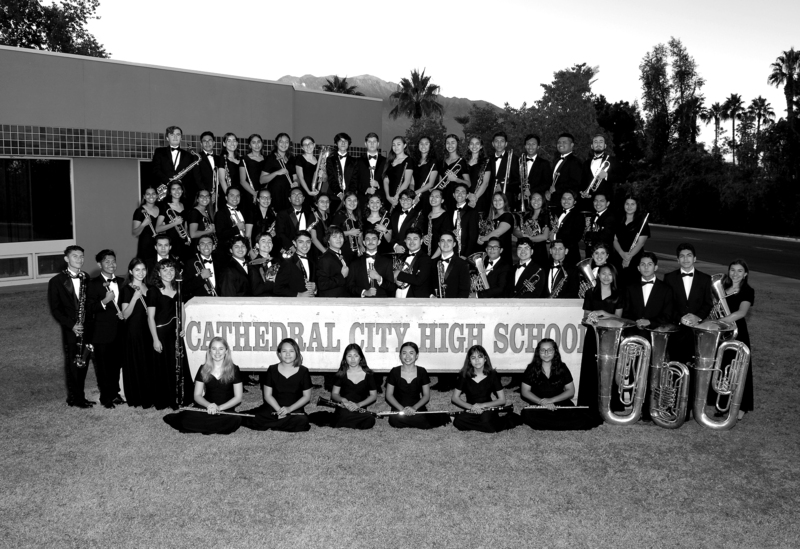 The Symphony Band represents every background, academic pursuit, and scope of the diverse student body at Cathedral City High School.